Be it a chore, passion developing hobby, or fun activity with family or friends, cooking has long been within the heart and soul of homes across the nation. Coincidentally, the National Fire Protection Associaton (NFPA) states that cooking is the leading cause of home fires and fire injuries, accounting for 43% of all reported home fires! And due to the colder weather and numerous gatherings, home fires are more rampant during the holiday season, particularly Thanksgiving, which is the leading day for home fires involving cooking equipment. Note: The NFPA recommends avoiding the use of gas-fueled turkey fryers, even if properly used outside. 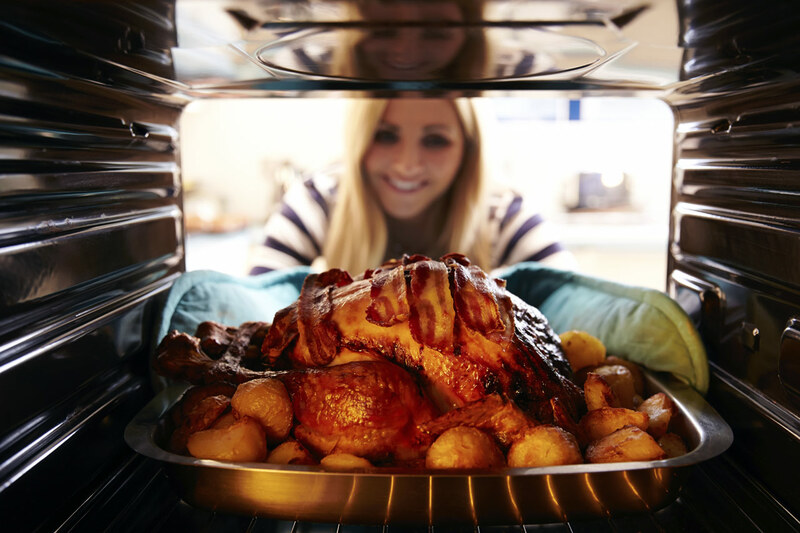 The amount of cooking oil necessary to cook the turkey poses a significant risk. Given the facts, fire safety in the kitchen needs to be top of mind for chefs and home cooks of all skill levels. Fast action is required to keep fires from spreading. So, what can you do to help preserve the joy of cooking and your home? Ensure you have a working smoke alarm installed at least 10 feet away from cooking appliances. If alarms are too close to appliances, even small amounts of smoke or steam could trigger the alarm. Keep a fire extinguisher in your kitchen. If necessary, get training on how to use an extinguisher by contacting your fire department. Stay in your kitchen at all times while cooking on a stovetop. If you need to leave the area, turn off the burners. Never leave home while your stovetop or oven is in operation. Tie back long hair and avoid loose clothing. Wear a short sleeve shirt or roll up your sleeves. Keep items such as oven mitts, wooden spoons, towels and packaging away from anything that generates heat. When going to bed or leaving the house, double check to ensure you turned off all burners, ovens, toasters, etc. Regularly clean your appliances, stovetop and oven to avoid grease buildup. Built-up grease is flammable. Note: When pan-frying, let the hot grease cool before disposing of it. Exit the kitchen and call 911 if a fire breaks out. If the fire spreads, evacuate your home. Be prepared by having a fire escape plan for your household. Also, call 911 if you choose to combat the fire. If you cannot contain the fire, evacuate your home, and you will already have help on the way. Do not swat at the fire. Swatting will likely spread the fire. Use a fire extinguisher, wet towel, or a lot of baking soda or salt to smother grease fires. Never use plain water! Water can splatter the grease and spread the fire. If the grease fire is in a pan, cover it with a lid and turn off the burner. For oven or microwave fires, close the door and turn off the appliance to keep oxygen from fueling the fire. For small pan fires, turn off the burner, put on an oven mitt, and place the lid on the pan to suffocate the fire. Proceed to move the pan away from the burner. For larger pan fires, or if you cannot safely put the lid on the pan, use a fire extinguisher (aim it at the base of the fire). Exercising fire safety in the kitchen is a must for all households. Stay prepared and alert to help avoid disasters! Be prepared for disasters by reviewing ALE Solutions temporary housing options.